Stacey Vespaziani is a yoga teacher, writer, actor, storyteller and avid traveler. While earning her BFA in Theater at the University of Cincinnati, she reluctantly took her first yoga class and was hooked from that first downward facing dog. 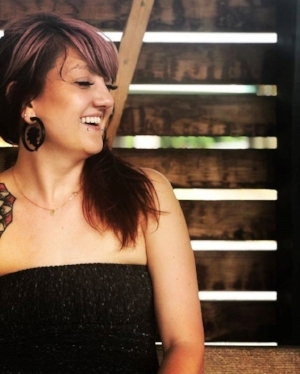 After moving back to her hometown of Pittsburgh, Stacey completed her initial yoga teacher certification with Amazing Yoga and in 2007 started the first Pay-What-You-Can yoga program in the city of Pittsburgh under the name of Human Race Yoga– which offered weekly classes out of the Union Project and Dormont Library. She went on to become a Certified Baptiste Yoga Teacher and in 2011 founded South Hills Power Yoga with locations in Dormont and Peters Township. 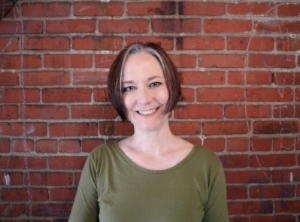 Over the last decade, she has also studied with Gregor Singleton, Bryan Kest, Seane Corn, Natasha Rizopoulos, Sharon Gannon, and David Life and has trained and certified over 120 new yoga teachers through the South Hills Power Yoga’s 200-hour Teacher Training Program. Stacey’s teaching approach is anchored in the belief that yoga will bend to fit each student and not the other way around. As a result, her classes are joyous and accessible while challenging students on their own unique level. She is so excited to be running this studio with one of her best friends in the world and to have the opportunity to share yoga with the Bloomfield community. Stacey lives in Dormont with her husband Brian, their rescued pups Danger & Zoe, and an ever-expanding backyard vegetable garden. Though I practiced off and on in my twenties and thirties, it wasn’t until I turned forty that I discovered the power of yoga to heal. By then I’d been running, cycling, and backpacking for years and had the battle scars to prove it—bad knees and tight hips—and while exercise had always been vital to my mental health, in yoga I found a path toward feeling more at home in the world, more at ease in my own skin. In 2013 I traveled to Mysore and then Goa, India to study Ashtanga yoga, and most recently I’ve begun exploring Iyengar yoga, bringing this tradition’s therapeutic features into my practice and teaching. While I have studied with many well-regarded yogis over the years, I find working with my own changing body—its strengths and limitations—to be my most important teacher. In my yoga classes you’ll be encouraged to challenge yourself physically, to breathe and sweat and observe yourself with friendliness and a sense of humor. Know that whatever your history, your age or shape or strength, there’s room for you here. In my other life, I teach nonfiction writing at the University of Pittsburgh and write essays on art and the body. Darcy Lyle has been in love with practicing and teaching yoga for more than a decade. She is inspired by the never ending surprises and possibilities that show up in the ongoing practice. Her teaching is rooted in steady, curious, kind attention. Humans can cultivate anything this way over time. Off the mat Darcy enjoys playing acrobatic and slackline games, mothering her son, and tending to her gardens. For more about Darcy visit DarcyLyleYoga.com. Holly received her 200-hour certification from Yogaworks in New York City. Her classes focus on healthy alignment, body awareness and self-reflection to create an open thoughtful practice and a deeper connection to the present moment. She travels regularly to continue her education with Chrissy Carter, Natasha Rizolpoulos, and Jillian Pranzky. A life-long cyclist, she works with runners and other cyclists to prevent injury and create balance and space in the body. She is also certified in restorative and therapeutic yoga, and is a reiki master. She shares these two healing practices with cancer patients at Saint Claire Hospital. I believe in a constant path of self-discovery and through the guidance of yoga, we can move closer to who we are and what we want. My practice is joyful and content with a focus on feeling confident in my body. In 2014 I completed my Level One 200-hour training with South Hills Power Yoga and immediately started assisting a weekly class. I discovered my niche for reading people’s energy and offering assists through safe and effective hands-on adjustments. In 2017, I returned to a Level One training in New York to clean up my personal practice and navigate my next yoga journey. By the end of the summer, I left my job and immersed myself in a Level Two 300-hour training program with YogaWorks. I’m overwhelmed with gratitude for the opportunity to devote myself to the practice on the mat and in the teacher seat. As a teacher I want students to feel alive and inspired by the work they create on their mats and to skip off into their world more confident, honest, and open with who they are right now. In my class expect to build heat and refine alignment with intuitive sequencing that spikes curiosity in your practice. Experience space that invites an abundance of energy, joy, and reconnection to your body and mind. Music, hands-on adjustments, freeing environment. 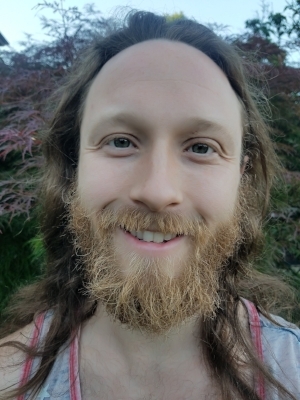 A student of yoga for nearly a decade, Lee has been teaching around the Pittsburgh area for over three years now. While yoga’s combination of strength and cardio training were what originally led Lee regularly to his mat, he quickly learned to appreciate the additional mental benefits that a steady practice helps to build. In class, Lee focuses on the harmony of steady breath, controlled strength, and mindful movement. 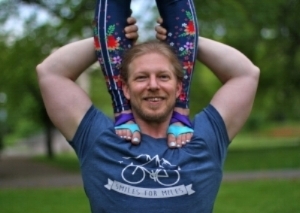 Though Lee likes to push his students to challenge themselves physically, he always maintains a lighthearted class with an upbeat vibe to encourage you to make the most of your time on the mat. Cassie began her yoga journey in 2011. Yoga became a weekly ritual of self care and a way to find metal clarity. After developing a consistent practice she realized a deep love to share yoga with the community around her. In 2014 she completed her 200hr teacher training through South Hills Power Yoga. With a deep curiosity and strong belief in life-long learning and continues to enroll in a variety training's and workshops. Cassie finds her greatest inspiration from Elena Brower, Erica Jago, and Mari Sierra. She believes yoga should be made accessible for everyone. Inspired by her mentors she helped organize a free yoga program at her local Carnegie Library as well as taught “pay what you can” classes in the community. Cassie has recently collaborated alongside Frequency-528 creating a weekly pay what you can Silent Disco style yoga experience. Her classes often incorporate an inspired playlist and creative sequencing. A strong believer in the transformative power of breath and mindful movement, She seeks to uplift others through daily meditation and practice of yoga. Casey is a father, acrobat, climber, yogi, world traveler, and software engineer who enjoys helping people do seemingly impossible things. He earned his acrobatics training and coaching certification with J&C Training in early 2018. Working with Jason and Chelsey--acrobats renowned for their precise, technical approach--Casey learned to value empathy, communication, incremental progression, and play in acrobatics. I am a fat yogi, and while it’s not the most important thing about my practice, it is one of the first things people notice. I have been practicing yoga since 2010, and started teacher training in 2018 with Healthy Body, Peaceful Soul. I believe yoga is a path towards body image reconciliation, and I work to create inclusive practices that recognize and support body differences. All bodies deserve the opportunities to move mindfully, to breathe intentionally, and to find stillness. I am passionate about the diversity of the yoga community and that the future of yoga is accessible for all. Despite big, radical goals, I also think classes should be lighthearted, compassionate, and leave you in a better mood than when you started. Expect to breathe deeply and move freely, with lots of suggested personalizations to find your individual poses. Kristen has been practicing yoga for over 15 years and teaching for the last 8. Initially trained in power vinyasa, Kristen has also had additional trainings in chakra yoga, yoga for addiction, and meditation. 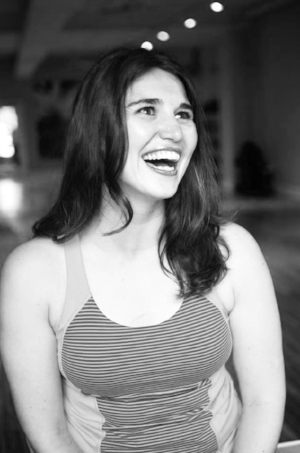 A regular teacher at South Hills Power Yoga, Kristen is excited to bring her teaching to a new space. Jennifer discovered yoga during her teenage years after being diagnosed with an autoimmune disease that affected the flexibility of her fascia. In an effort to regain strength and flexibility, she began her practice by studying at-home yoga videos. In spite of some really bad videos, she was captivated by the practice and continued to dabble in various styles of yoga throughout college. In 2011, she walked into a power yoga studio and instantly fell in love with the intense, yet graceful style of power vinyasa yoga. She completed her 200-hour training with South Hills Power Yoga in 2012 and is delighted to be a part of BFY. I am a Pittsburgh based power vinyasa yoga teacher, wife, daughter, friend ... and lover of good food and craft beer. I completed my 200-hour training through South Hills Power Yoga in 2013 and allowed it to completely transform my life by diving all in to teaching. I first found yoga my senior year of college at Chatham University as a physical replacement from college sports; but during grad school while earning my MEd from Pitt is when it transformed into the full mind, body, spirit.What's my "real" job? Well, my other job is working at Pitt as the Coordinator of the Stress Free Zone, teaching college students the important practice of mindfulness and meditation. I found my mat through heartache 10 years ago. Yoga helped me navigate my way through a divorce and early single motherhood. The physical benefits are bonus. It is a moving prayer for me. Yoga continues to change my life in miraculous ways. I completed my 200-hr teacher training through South Hills Power Yoga and have influences in Yin and Restorative. I have taken a variety of trainings and workshops with Judith Lasater, Tara Brach, Biff Mithoefer and Prema Maya. I am a devoted practitioner of Transcendental Meditation and seek to uplift humanity through my art, meditation, and instruction of yoga. I stepped foot in a heated power vinyasa yoga class for the first time at age 21 with no prior yoga experience. A skeptical college senior and not a natural athlete with little expectations, I welcomed the warmth and humidity of the studio during the cold Pittsburgh winter weather. It was through developing a more consistent practice following graduation that I found an increased strength in my body and breath, and in turn, was able to create more space in my mind for less self-judgment. Naturally ambitious, I completed my 200-hour teacher training at South Hills Power Yoga in 2013. It is my hope that students find my classes to be light hearted and honest, playful but challenging in both body and mind, and many classes are accompanied by music. Outside of teaching yoga, I work as a registered nurse in an ICU. In my spare time, I train for half marathons, travel to the Caribbean, and hike local trails with my husband and dog. I first became interested in yoga in 2009, completed my first home practice via DVD in 2011, and finally made my way into a studio in 2012. It took me some time to feel confident enough to find a community to practice in, but once that relationship formed, there was no going back. I found a strong and caring community in yoga, filled with wonderful friends and mentors whom I still look to all this time later. In 2014, I completed my 200-hour teacher training with South Hills Power Yoga. This experience opened a number of doors for me to meet new friends to share my practice with, along with new adventures to take it on, including teaching at local studios and outdoor spaces, flying on other humans in acro yoga, and instructing from a standup paddleboard down on Pittsburgh's rivers. As the years have passed, my teaching and my practice have shifted to include more time and patience in order to train strength and progressions, and that is an experience I hope all yoga practitioners can find more often than not. I was a world-traveler before I was born (3 months Georgia, 3 Germany, 3 Japan), and this contributed greatly to my early intrigue in Eastern "mysticism" and yogic arts, despite being a German-American. Luckily both my mother and grandmother knew several healing arts as I grew up, so my foray into yoga began with hands-on, healing meditations. Only later when I joined grad school at Montana State University did I learn the physical practice of yoga as the absolute remedy to my aching mind and body, which sat stiffly reading on blustery winter days. After moving to Pittsburgh to start my PhD in Rhetoric & Composition, I completed my 200-hour YTT with South Hills Power Yoga in summer 2017. I have been practicing and teaching ever since! As both a teacher and student, I love class environments that are simultaneously safe and challenging. Where the comparison of bodies is futile, and the edge of our practice is constantly being explored. I also love designing creative sequencing that keep yogis light on their toes and ready for change, as that is what yoga has helped me most with in my life.